Laryngoscope Handle Miller has stainless steel construction. Macintosh blades are also known as Straight Blades. Macintosh handle is also known as Small Handle. 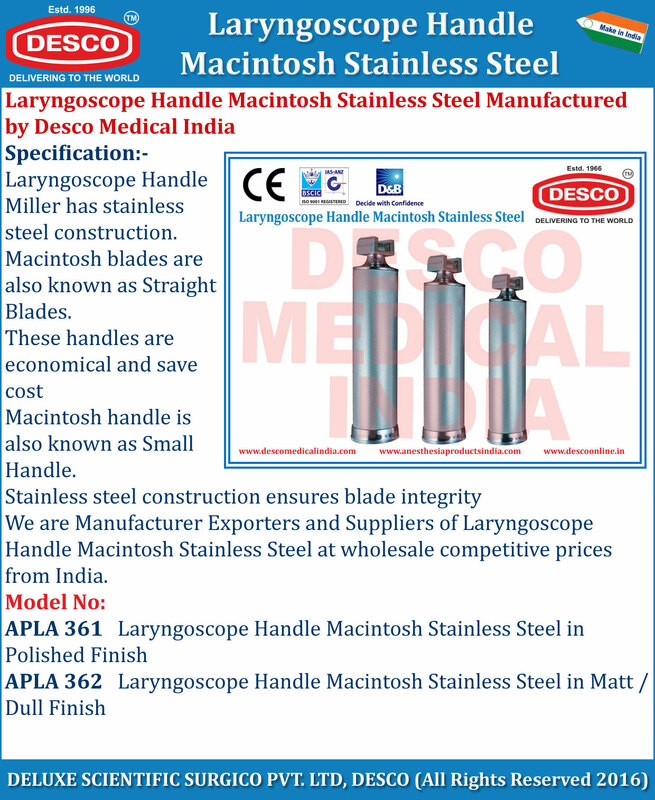 We are Manufacturer, Exporters and Suppliers of Laryngoscope Handle Macintosh Stainless Steel at wholesale competitive prices from India.